a. It is very helpful to have contact information for verification of and notifications for the event. b. AWS-COS does not hold or give this information to any person or organization. a. 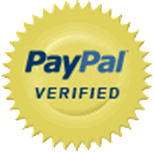 Pay by PayPal by clicking the Pay Now button below. This allows you to pay through your PayPal account or by Credit Card. b. Drop off payment at Fermentations, 5765 N. Academy Blvd, Colorado Springs, CO 80918.
c. Send a check to the AWS-COS Finance Chair, Alec Blakeley, 7974 Scarborough Drive, Colorado Springs, CO 80920. Remember: The booking process is NOT complete until payment is received and processed. After form is filled out click "Submit" to RSVP.